Susan Johnson (TX) is the winner of Sarai by Jill Eileen Smith. Mippy (UT) is the winner of Bourne by Lisa T Bergren. Ginger (AL) is the winner of Ellie's Haven by Sharlene MacLaren. Sarah (NC) is the winner of When Rain Falls by Tyora Moody. Lisa E (WA) is the winner of By the Light of the Silvery Moon by Tricia Goyer. Jackie Tessnair (NC) is the winner of The Heart's Frontier by Virginia Smith. The truth is that I can’t write main characters if they haven’t faced issues that I have faced. I might put them into different circumstances, but it would be a little hard for me to relay the emotions of a character if I have never been through what I plan to put them through. I’ve been called quirky by numerous people. I never understood why, so I enlisted a good friend to tell me one quirky moment she remembered. She listed about ten, and, well, I still don’t see why she thinks I’m the least bit odd. Anyone could announce on a road trip that the next rest stop on the interstate is a very nice one and accidentally follow a semi-truck into the weigh station. But I guess one of my biggest quirks is that I’m a big fan of a little-known actor. I love his work, and I enthusiastically support him in everything he does. When I actually ran into the wonderfully talented young man, though, I was as speechless as an adoring teenager to a rock star. All I could do is call my best friend and whisper into the phone, “He has the darkest hair I’ve ever seen” after my actor friend took off his hat and sunglasses and smiled at me as if all his online contact and my promotion of his work showed me to be somewhat normal, and he expected to carry on a conversation. It didn’t happen, and my friends won’t let me live it down. Before I could string letters together to make words, I was telling stories, but when I was twelve years old, my friend’s mother asked me to share my writing with her. She was a college professor, and I know the dribble of a twelve-year-old was probably amusing to her, but she told me that I would be a writer. I took her at her word, and I never stopped putting pen to paper. I was a storyteller first, before I became an author. Tell us the range of the kinds of books you enjoy reading. I consider myself one of the luckiest people in the world. As a co-moderator of the American Christian Fiction Writer’s Scribes’ large critique group, I’m reading volumes of pre-published fiction by writers of every genre. When reading published works, though, I tend to gravitate toward romantic suspense and contemporary romance. I like any story as long as it has meat for me to chew on. I’m a fifteen-minutes-at-a-time kind of gal. I will deny that I suffer from A.D.D., but it is much easier for me to finish a project when I have ten of them going on at a time. That’s not hard when you co-moderate a large critique group of approximately 275 writers, manage approximately thirty-five small critique groups, enjoy being on the ACFW operating board, and work as an acquisitions editor for Pelican Ventures (White Rose and Harbourlights). I set out four different tasks and work on each fifteen minutes out of each hour. When I finish one, I add a new one to the list. I’m never bored. I don’t believe I’ve ever made a conscious effort to name a character. My ideas actually come to me through my characters. Often they show up on the stage of my mind, announce who they are, and tell me the basic premise of their story. That’s not considered quirky is it? Netting my husband. There are so few good guys out there, and when you’re able to find one that puts up with everything about you and loves you the way you are, that’s a big accomplishment. I know other people think so, too. I have all kind of dear women telling me how lucky I am to have him. I’m not sure what that says about their opinion of me, but that’s okay. He’s mine! A cat. Have you ever notice that they never doubt that they deserve more than they will ever receive? The two that live in my home have their own personal maid, butler, cook, and chauffeur, and sometimes they look at me as if given the chance, I’d be fired without notice. Anyone who follows my chatter on Facebook knows that I love fried pickles, a hot fudge sundae with bananas and whipped cream, and sweet iced tea from a local restaurant, the Moonlight Drive-In. I love fried pickles, too, but I can’t eat them anymore, because of all the sodium. What is the problem with writing that was your greatest roadblock, and how did you overcome it? Believing in myself. I’m very timid by nature, and it took a while and a lot of honest critique from people who cared enough about my writing career to gain that tough skin all writers mention. Once I was able to take the criticism and determine for myself what was right for my story, I gained confidence in my abilities. At times, my husband has had more faith in my talent than I did. He talked me off the quitter’s ledge many times, and the day I received my contract for Because of Me, I stood in stunned silence, and my husband cried tears of joy. “Michael.” Issie bolted upright in bed, fighting the blankets and gasping for air. She ran her hand across her mouth and scanned the darkness enveloping her room. Her breath, harsh at first, settled into a normal rhythm. She had nothing to fear. “Michael,” she choked out his name again then settled back down and curled into a ball. She’d clung to the memory of his handsome face, but with each passing year he slipped further away. The desperate yearning to see him took her breath away. Another face fought to replace her treasured memory. She shuddered and closed her eyes, fighting the vision of Tom Jervis on top of her, taking everything she’d saved for Michael—for their marriage bed. Everything she desired fell out of reach on that night. “Mommy?” the frightened voice sounded from the hallway. Issie turned on her bed stand lamp. A soft light shone from beneath the green glass top, illuminating his sleepy face and tired soul-filled gray eyes. “I had another bad dream.” She scooted over, and he climbed up beside her. The nightmare had vanished for such a long time. Why was it resurfacing now? Could you call them dreams if the events really happened? Better for her, but not for Michael. What had it cost him to watch Jervis do what he’d done to her? Issie pushed her boy’s shaggy blond hair from his face. He needed a haircut, but he wanted it long until the end of the baseball season. His helmet fit better, he said. A vision of Michael branded her memory—the tears in his eyes, the rage in the flare of his nostrils, and the sorrow in the turn of his lips. “Where does Michael live?” He yawned and turning, he faced away from her, his little body curving with hers. “I don’t know where he is today.” At least that was the truth now. “I haven’t seen him in over seven years.” Since his release from prison, Issie had no idea where he’d gone. “Oh,” he said. His breathing soon settled into a sweet rhythm of sleep. “Michael.” She breathed the name. As she’d done since the day she learned she carried a boy, she imagined Michael embracing her son and accepting him as his own. The fantasy, though, was too fantastic for even her to believe. Wow! I’m hooked. How can readers find you on the Internet? I am so thrilled to introduce you to author, Bonnie Calhoun. We are truly sisters under the skin. We may have been separated at birth. Welcome, Bonnie. Tell us how much of yourself you write into your characters. Whoa…*snort-giggle*…that might scare people away from me in person. Okay…I confess, Sloane Templeton is me, except I like guns and can shoot way better than her. See…there they go. I told ya’ they’d all run away! Yikes, if I told you that I might have to kill you! Are we talking quirky-ha, ha…or quirky-strange. And are we talking as a grown adult who should know better, or are we talking when I was young and dumb and innocent? ::blink blink:: I’ll pick a benign one. I went to the original Woodstock…without permission, and almost got killed by a honkin’ huge farm tractor. That’s an easy one, I discovered I was a writer when I was a teenager. Back in the day, teenage angst turned all kids into writers, unlike today when it turns them into serial killers. My range is sorta short like my arms. I love mystery, suspense, and dystopia. I have been known to try a romantic suspense, or plain romance…but only if it’s written by a friend and they have a high-heeled foot pressed firmly on my neck. Is that what I have to do to get you to read my books? Look out at conference this year. How do you keep your sanity in our run, run, run world? Hmmm…Of all the things I’ve ever lost, I think I miss my mind the most. Seriously though, I take one day at a time, and put one foot forward. The Lord doesn’t promise us tomorrow, so why should I worry about something that will never come? I do “today”’ the best I can, and then move on. Have you ever met someone, and the first thing you think is, they fit their name? I’ve been picking names that sound cool, and sorta “fit” the personality of the actual character. But I do have an idea for a dystopia where all the names would be made up variations of names in use today. I haven’t really gotten into dystopia yet. What is the accomplishment that you are most proud of? ROFLOL…this is going to sound totally off topic, but I am totally proud that the Lord has deemed it fit to let me live this long! I’m just praying that I have a lot more to accomplish for him and He lets me stay around to finish it! Yikes…an animal…would you believe I’ve never, ever thought of that. Let’s see…I wouldn’t pick a chicken or a cow…they’re both too stupid from my point of view but I love them on the dinner menu. And I wouldn’t pick a dog or a cat…and I don’t want to be something that could wind up as road kill. Ugh…don’t wanna be an animal…nope…it wouldn’t be prudent. That is totally easy…my favorite food is Buffalo chicken wings, red velvet cake, macaroni & cheese, French fries, cheesecake…ugh…I guess I’d better stop. Wow! Cholesterol City. I hope you don’t eat them all at the same time. What is the problem with writing that was your greatest roadblock, and how did you overcome it? Another easy question! My greatest roadblock to writing is finding enough time in each day to get words on the screen. If I could add all my Facebook words, Twitter words, and email responses to the count, I’d be on much better footing. But seriously I set a goal for each day, and I don’t get to go to bed until it is accomplished. Did I say that sleep is sorely over-rated? It's not easy being Sloane Templeton. A lot! Sloane begins to receive cyber threats. While she uses her computer forensic skills to uncover the source of the threats, it is discovered someone is out to kill her. Can her life get more crazy? The car jerked as though possessed. I inhaled sharply, holding onto the breath as tightly as I gripped the smooth wood railing with one hand and my garbage bag with the other. I peered down from the landing on the floor below my apartment at the car parked closest to the building. My heart drummed a monster cadence that pounded on the blood vessels behind my eyes, causing pinpoint stars to float in front of my vision. Was I really seeing this or did I not have enough coffee yet this morning? Yes. It was no flashback from my days of old. The car still shook. A warm summer breeze drifted across my skin as I continued to stare down at the car. I shivered. I wasn’t cold. It was fear. What was I, an idiot? I had to will my foot to descend to the next step. At the moment, my feet were apparently smarter than I was. They knew danger. A smart person would turn around and go back upstairs, through the apartment and down the front stairs. But no, I apparently didn’t emanate from that smart gene pool. If it could be considered dangerous or reckless, my name was probably attached somewhere. Yeah, let’s not mention that angels must have practiced running for the clouds every time the name Sloane Templeton came up as an assignment. I had a knack for turning them into bruised and battered little fife-and-drum corps, complete with head bandages and crutches. A woman’s screech echoed from the closed interior of the car. Okay, I’m totally hooked. How can readers find you on the Internet? Thank you, Bonnie. I loved having you here. Come back whenever you have another book release. Welcome, Tracey. Tell us how much of yourself you write into your characters. A good bit – mostly in what they wrestle with. I make them ask the questions I want answered, and I make them go through experiences I’ve never been through but wonder how I would handle if I were to experience it. I suppose in that way I am a selfish writer, one who writes to flesh out truths in my own life. Hopefully, if I’m wondering about these truths, others are too; and maybe through the pages I write, the reader and I can learn together. I don’t really consider myself a quirky person; mostly I’m practical (just ask my husband!). So, in order to answer this question, I enlisted the aid of my children. They were more than happy to enlighten me! Apparently, they think it’s quirky that I like to talk in different accents – usually in accordance with the flavor of tea I’m drinking. For example, if I’m drinking English breakfast tea, I talk in a British accent, Irish breakfast means an Irish accent, French vanilla means French, Russian tea. . . . well, I think you get the picture. For the record, I never do this in public – only in the privacy of my own home. I’ve never taken a creative writing class; and I never thought much about writing except for college assignments. Then I wrote a Christmas play for church. Since then I’ve written several plays and skits, as well as lyrics for my husband’s songs. I love to communicate the Truth about God and the Scriptures; that’s my motivation. That’s what gets me excited and now compels me to write. Right now I’m reading the classics because that’s what I’m teaching my kids (I’m a home-schooling mom of quadruplets). This year we’ve studied The Scarlet Letter, The Great Gatsby, and Hamlet. Romeo and Juliet is next. Apart from school, I love good Christian fiction that communicates Truth. I love to be challenged on a spiritual level. (It’s hard to beat a good Francine Rivers novel.) Being the girl that I am, I love for there to be an element of romance as well, as long as it’s plausible. (I told you I was practical! See question #2.) I get angry sometimes if a story is so unrealistic you can’t identify with it in any way. And if I read a mystery, I hate to be able to figure it out before the end! I’m not a huge fan of science fiction or fantasy – although my kids love fantasy. They’re trying to convert me! We’ll see! I’m not sure I do! Actually, I guard my time very closely. I am very selective about what I say “yes” to. Having four teenagers tends to keep me hopping more than I’d like, but it’s certainly for a good cause and won’t last forever. They are fifteen now, so it won’t be long until they’re out the door. That gives me motivation to keep going. It just depends. Sometimes I’ll base a name on a person from the Bible if my character exhibits the same traits, or I may pick a currently popular name if I want the character to be representative of “every man” or “every woman.” The phone book really comes in handy for those times when you’re drawing a blank. Well, I’m inclined to say my kids. They were and are gifts from God, though, so I can’t really claim them as an accomplishment, can I? The next thing that comes to mind is actually completing the writing of Katie’s Choice. It took two years, but I just kept plugging along until it was done. I look back and wonder how I did it with four toddlers at home, but it was such a good time for me. Writing it was a form of worship for me. The first animal that popped into my head was the sloth – seriously! Even though I am always busy working at home (like a beaver) and rarely sit down, I absolutely love to veg out with a good book or a good movie. I really look forward to those times! Pretty much anything anyone else cooks for me! I cook all the time, and enjoy it for the most part, but it is a wonderful treat for someone else to do the cooking once in a while. But I do admit to being partial to either a medium rare steak or anything Italian. And the Maple Butter Blondie at Applebee’s is always a hit! I have a plaque on my kitchen wall that says My favorite meal is whatever my cooks or going out to eat. What is the problem with writing that was your greatest roadblock, and how did you overcome it? My biggest roadblock was myself. I honestly didn’t know if I could do it or not. I tend to pick subjects that fascinate me but that I have no first-hand knowledge of. I get concerned that I’m not going to handle it accurately, so I do a lot of research. 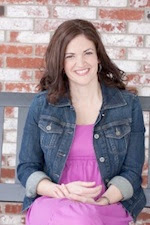 With Katie’s Choice, I didn’t rest easy until I had someone who worked in abortion counseling read the first manuscript. When she gave it a thumbs-up, I finally felt confident about it. Katie’s Choice is the extended version of a song my husband and I wrote about a young girl who experiences an unwanted pregnancy and the choices that follow. I wanted to explore, in a gentle manner, this topic that is so often thrown around in political debates. I wanted to get personal about it and flesh it out. The character Katie in the book asks the questions that I wanted answered. And, of course, there’s some romance in there, too! The wind blew gently and leaves fell steadily from the trees lining Jamison Street. The brisk air was a stark reminder that football season had rolled around once again, that the holidays loomed right around the corner, and that life kept repeating itself over and over. Stoughton, Wisconsin, just outside Madison, was nothing more than a cycle, like a Ferris wheel going round and round. Sometimes you found yourself on the top looking out over your life thinking, This is good; I could go on like this forever. But as soon as you’d get really comfortable with that thought, you’d feel yourself slowly slipping over the edge, descending toward some unknown yet familiar pit that consumed you until you felt the wheel slowly ascending to the top again. These were the feelings of the young girl getting out of the black Camaro that pulled up to the curb. An enshrouding restlessness came over her without warning until she thought she couldn’t breathe. But, just when she was about to finally suffocate, ever so gently the feeling disappeared, leaving her to wonder if she’d really experienced it. Katie Montgomery had learned to ride out these emotional storms so gracefully that no one ever knew of the battle that raged within. She leveled her emotions day in and day out, causing no waves and bringing no attention to herself. “Hey, I’ll be back to pick you up around 6:30 for the game, okay?” said the guy in the driver’s seat of the car. With that, Katie turned and started up the walk to the front door of her apartment building, an old, three-story Victorian home converted into separate apartment units. or through Cladach Publishing: http://cladach.com/Langford.html. Thank you, Tracey, for stopping by today. The Overcomers: Christian Authors Who Conquered Learning Disabilities. I’m dyslexic. Yep. It’s true. I had a hard time learning to read and spell. Yet today I am a published novelist. How could someone like me manage to graduate for high school and college, get married, raise three kids, teach school, and become a published writer? I give God all the honor and glory. With Him, anything is possible. But for years, I kept my learning problems a secret. I never expected to find six other published novelists who suffered from problems like mine, but I did. The seven of us formed a small group, and five of these seven novelists decided to pool our knowledge and write a non-fiction book to help others with problems like ours. The results is The Overcomers: Christian Authors Who Conquered Learning Disabilities by Margaret Daley, Ginny Aiken, Jane Myers Perrine, Ruth Scofield, and me, Molly Noble Bull. Margaret is not only a published author, she is the current president of American Christian Fiction Writers. I came from a ranch family from South Texas and have lived most of my life in a rural setting. Growing up, my father and my maternal grandfather managed a sixty thousand acre cattle ranch, and all three of our sons are involved in ranching in Texas today. I think the country is the best place to grow up and raise a family, and though we didn’t own the ranch, I had the great privilege of living on two different ranches during part of my growing up years. I met my husband in college, and as I said, we raised three sons and now have six grandchildren. All but the youngest two grandchildren are involved in 4-H and/or FFA, and I am sure the little ones will follow suit when they are old enough. No. The Overcomers is my first non-fiction book and is available in paperback and as an e-book. It is also a finalist in the 2011 Women of Faith contest for writers. The winner will be announced on March 31, 2012. I just finished a long historical set in England and Scotland and am working on a western-historical set on a cattle ranch much like the two I lived on as a child. I like to write books, of course. I also love to read—especially books on Bible prophecy. I love horses and once rode a lot, but I leave that to our sons and grandchildren now. I wrote The Overcomers: Christian Authors Who Conquered Learning Disabilities to encourage others with problems like mine. The five of us overcame, and others can do the same. We hope our book will help them learn how. I would like readers to know that though learning disabilities never go away, we learned to go around them, and they can, too. However, true Overcomers overcome by the blood of the Lamb and the word of their testimony in the name of Jesus. Revelation chapter 12, verse 11. My web address is www.mollynoblebull.com, and I write for several blogs. I also have a monthly column in a local magazine. Below are those addresses. To find all my books in online and at walk-in bookstores, write Molly Noble Bull in the search slot. By the way, The Overcomers is a popular book title right now. Therefore, if searching for my book on learning problems and don’t want to end up with another book entirely, write in the complete title in the search slot, The Overcomers: Christian Authors Who Conquered Learning Disabilities. Thank you, Molly, for a peek into this interesting subject. I’m hope to be branching out with another publisher, continue to write for Steeple Hill, and teach writing at the local community college. My husband has just retired, so what do you do with a husband around the house? We’re learning how to deal with each other. My children are grown and I have granddogs, a white lab and a Great Dane. When I first started writing, I couldn’t enjoy a book because I was looking at the mechanics. Now, I can read anything. If the story isn’t good, I don’t finish the book. A couple of stories for Steeple Hill. Captain Brenda Kaye popped into a book and wouldn’t let me finish Redemption Ranch until I promised her a book. I garden. I love it. I also taught deaf kids and love signing songs. It usually depends on the story. But I am drawn to setting in the Southwest or Rocky Mountains. I’ve love to spend the evening with Winston Churchill. He was a man with vision and understood the face of evil. I wish I knew about a support system. RWA helped before there was ACFW. Both are great support to teach and encourage. I need to be in a regular Bible study. This is a year of learning for me. I’m doing a Beth Moore study now. My church will have Beth Moore as a speaker at our women’s conference Pink Impact in April. We have a Frisco campus, which is closer to where you live.What are the three best things you can tell other authors to do to be successful? Write. Set writing goals for yourself, then do it. Also, with prayer, seek God about your writing goals, then go for it. Tyler Lynch is an Iraqi vet who is so shut down that he only wants to be with his dog. His dog doesn’t ask how he feels, why is he feeling sad, and what happened. His dog just loves him. Then Tyler meets a lady who changes his world. His dog introduces them. If his dog likes her, then Tyler thinks she might be okay. “Oh, Charming, what’s wrong with me?” Beth McClure ran her hands down the gelding’s broad back. His warm coat and steady heartbeat calmed her. Twenty minutes ago her brother and his wife, her best friend and ex-college roommate, announced there would be a new McClure come spring. Friends and family gathered at the ranch cheered the news. Beth was glad for them, really. It was selfish of her, but the news stabbed her in the heart, making her realize how alone she was. Oh sure, she had family, friends, but there was not a prospect of a boyfriend in sight. In some ways she was content to be alone, but her heart still ached. Charming raised his head and stepped back, knocking Beth into the back wall of the stall. She stumbled, her skirt tangling in her legs, and she twisted her ankle. Wearing heels out in the stable wasn’t smart, but she wasn’t worried about that when she escaped. “Charming, what’s wrong with you?” She pushed the horse away, as she searched for her shoe. Charming danced again, bumping her a second time. She fell against the side of the stall, losing her other shoe. “Stop.” She glanced over her shoulder to see what made the horse so nervous. She spotted the black dog sitting outside the open stall door. “Oh, sorry, guy.” Beth patted Charming on his back hip to quiet him. The black dog sat quietly, watching her. Beth recognized him. He belonged to the newest employee of Second Chance Ranch, Tyler Lynch. He was an Iraqi War Veteran like her brother, Zach. Tyler’s dog, Dogger, was known as a cautious critter, who didn’t offer his friendship lightly, much like his owner. In the month Tyler had been at the equine therapy ranch, she’d never known his dog to allow anyone to pet him, and she only had a nodding acquaintance with the dog’s owner. Thank you, Leann, for visiting with us today. Hopefully none! I wouldn’t purposely share much of myself in a character. That’d be like letting someone read my diary. Unfortunately, more is probably revealed than I can prevent. Is it possible that a psychiatrist could analyze my characters and have me committed? If so, I’d better quit while I’m ahead. When I was a senior in high school my sister Trina was a freshman. Our parents had no interest in going to the high school open house, so I disguised myself as an older woman—glasses, thick make-up, conservative skirt—and went with Trina to meet her teachers and get an update on her progress. Half of the teachers knew me and we had a good laugh. The others played along and later asked her if I was her step-mom. As we were leaving Trina waved down this older guy that she’d met at the beginning of the year. I tried to hang back, because he was cute and I was elderly incognito, but he saw me and wanted in on the story. So I married him. Good one! When did you first discover that you were a writer? Perhaps for some there’s this moment when the clouds part and a single ray of light beams down, illuminating the golden words on their tablet. That hasn’t happened to me. I guess as long as I have a contract I’ll go by that description, but I’m the same person whether I’m writing or not. The books that I tell my friends about have memorable characters, unique voice, and original plot twists. My favorite genre is historical, any era and often romances, but a well-written biography or non-fiction that reads like a novel is the best. I don’t do it alone. Both sides of our family live here in town and we have a large, supportive network of friends. They are sympathetic to my hermit ways and intervene when I’ve been anti-social for too long. I have a nephew named Boaz, so for the Boaz character’s name I used Weston, another nephew. Other nephew names that made it into the book were Deacon, Jake, and Colton. For minor characters I used the people around me while I was writing—the receptionist at the speech therapist’s office, the journalism teacher at the kids’ co-op class, etc. Sometimes I lifted names from the Caldwell County newspapers and history accounts in honor of the families who actually settled Prairie Lea and Lockhart. Nothing I’ve accomplished will compare to my goal of having our four children serving the Lord when they reach adulthood. That’s the laurel for which I’m striving. A bookworm. Oh, I have to come up with something else? OK, how about a Canadian goose? I travel a lot with my goslings tagging along behind and we always return to our home base. Kindly disregard the mess on the sidewalk. Blue Bell Homemade Vanilla ice cream on top of warm, gooey, half-cooked brownies. I get impatient to jump into scenes and start the action or the dialogue. I have to be reminded to slow down, describe the setting and introduce the characters. I’m still learning how to start a new scene without losing the reader. Sixty Acres and a Bride is a historical romance set in Texas in 1878. It’s about a good man recovering from a personal tragedy and a beautiful Mexican widow who finds herself in a desperate situation. While Weston’s family welcomes Rosa, he isn’t prepared for his reaction to her. Rosa needs a hero. To what lengths will she go to catch one? At an hour when every other God-fearing woman of Caldwell County was either elbowing her snoring spouse or sleeping undisturbed in her spinster bed, Rosa was sneaking toward a barn that was not her own. She was a trespasser whose goal was to get caught - a terrified stalker whose prey held her future in his hands. Holding her skirt up and away from the piles of manure, she crept closer with a pounding heart. Surely anyone inside could hear it. What was she doing here? Returning to Mexico didn’t seem so bad compared to the shame of what she planned. True, if there was anyone who could help her, it was this man. And if there was anyone she’d like to visit with or work beside, it was he. But alas, he didn’t return her regard. He’d purposely avoided her for over a month now. Yet here she was in the middle of the night with instructions to go to his bed and ask for money. Rosa’s hands shook as she pushed against the barn door. How had it come to this? How had a respectable widow found herself in such a humiliating situation? Thank you, Regina, for spending this time with us. LadyDi (FL) is the winner of Song of my Heart by Kim Vogel Sawyer. Loraine Erteld (CO) is the winner of Shades of Truth by Sandra Orchard. Julie Spangle (WA) is the winner of Stuart Brannon's Final Shot by Stephen Bly and Family. Faith Hope Cherrytea (CA) is the winner of How to Worship a King by Zach Neese. Susieq (HI) is the winner of Peril by Suzanne Hartmann. Eldra (BC) is the winner of Replication by Jill Williamson.